Princeton Mayor Paul Whitcomb (left) chats with Minnesota Design Team volunteers Christina Wagner, David Patten and Bruce Koprucki at the K-Bob Cafe. For more than 30 years, the Initiative Foundation has empowered local people to engage in their communities—to give of their time, talent and resources to make their hometowns vibrant and resilient. The Thriving Communities Initiative (TCI) program will continue to be offered, on request, as service to communities in our region for a small fee. If you would like to host a TCI program, contact Vice President for Community & Workforce Development Don Hickman. Periodically, we will provide brief, special workshops around relevant community topics related to nonprofit development, disaster response, early childhood and more. These special offerings will be announced in our monthly eNewsletters (sign-up here). Submit a request through our Innovation Funds for a seed grant to support ideas on how to engage new civic and nonprofit leaders, address barriers to business growth or strategies to attract and retain residents. Send us feedback and ideas on how we may be able to support you, as a civic leader or your community, as we begin to develop our next strategic plan. The Thriving Communities Initiative (TCI) is a redesigned program to engage new and emerging leaders in leadership development, asset-based community development and local philanthropy. Phase l: Designed to support up to five communities, Phase I focuses on attracting, training and retaining a mix of existing, new and emerging community leaders. Phase ll: Up to three communities from Phase l will be selected to participate in additional programming. The goal is to engage a wider audience to create community and economic development opportunities. 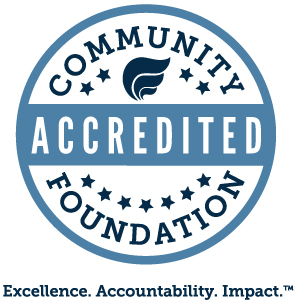 The Foundation’s Thriving Communities Initiative program is available for any community in our 14-county region. Contact Vice President for Community and Workforce Development Don Hickman about the program outcomes and associated costs. Emerging Leaders alumnus James Ruiz of Long Prairie, Minn., is investing in his community by serving on the City Council and volunteering with the local fire department. Phase l of the Thriving Communities Initiative offers support for an individual community or a cohort-based training for up to five communities. Each community will assemble five to 10 existing leaders who are interested in strengthening their hometown leadership network. This three-month effort builds the capacity of these established leaders to host strategic conversations that expand their leadership base by recruiting and engaging new and emerging leaders from across the community. Central Minnesota’s population of people ages 65 and older is expected to grow by 49.5 percent over the next decade. During that same time, the number of working-age adults will increase by just 2 percent. Phase I of the TCI program addresses this pending shift and helps your local team gain an enhanced capacity to attract, train and retain effective and engaged community leaders. Retain: Engage effective, collaborative leaders and assess local needs and opportunities. Attract: Create a greater sense of community and welcoming atmosphere for new leaders. Train: Support leaders with resources to fortify their new roles and individual strengths. Phase I brings together today's forward-thinking leaders interested in participating in specialized training to support and mentor new and emerging leaders. This is available for any community in our 14-county region. Contact Vice President for Community and Workforce Development Don Hickman for more information. Steve Shurts (left), CEO of East Central Energy and a member of the Initiative Foundation’s Board of Trustees, and Isanti County Assistant Attorney Tim Nelson have helped to elevate the community vision in Braham. Communities that address local challenges are more likely to attract and retain strong leaders who are vested in making their hometowns more vibrant and resilient. By focusing on community assets, the Thriving Communities Initiative encourages local leaders to see beyond common problems and collectively envision larger possibilities. Phase II begins the process of engaging traditionally underrepresented populations to identify key community assets. These assets are then leveraged by civic leaders to expand economic opportunities to attract residents, business owners and visitors. Throughout the training process, local leaders are supported by Initiative Foundation staff and explore ways to support community-based solutions. Phase II participants also are eligible for three months of continued technical assistance and referrals based on locally identified priorities. Engagement: A cross-section of residents—including traditionally underrepresented populations—is united in the community conversation. Strategies: Local leaders develop new skills to meet community challenges with locally supported strategies. Sustainability: Participating communities will be offered a customized consultation with our Community Philanthropy Specialist to identify strategies to build their capacity to effectively grow and manage local investments. Eunice Adjei-Bosompem works to make her community a place where immigrants, refugees and people of color feel welcome. Based on interest throughout the year, an individual community, a sizable neighborhood or a small cohort of up to five communities may engage in the TCI program. The Initiative Foundation believes that working across generations and empowering local leaders is key to enhancing community vibrancy and resilience. Are your current community leaders eager to expand the local network of new and emerging leaders? Do you want to take a solutions-based approach to identify opportunities and address community challenges? Do you want to tap the potential of new and emerging leaders? Do you want to cultivate local philanthropy to help sustain your community initiatives? Are you able to assemble a team of five to 10 existing leaders to engage in TCI? Phase I represents a three-month commitment. Communities whose teams complete Phase I are eligible to apply for participation in Phase ll of the program. Below are three primary questions you will be asked upon applying for TCI. Please spend some time carefully considering and crafting your responses to these questions. Identify what would make your community a strong candidate for the program. What are the areas in which you have the greatest need for effective leadership such as civic, business, nonprofit and community volunteers? What are the top three preliminary outcomes your community would like to accomplish as a program participant? What are the for-profit, civic and/or nonprofit organizations that can be listed in support of this application? Contact Vice President for Community and Workforce Development Don Hickman. If you are interested in learning more about initiating the TCI program in your community, contact Vice President for Community and Workforce Development Don Hickman.